Athan Wilde dreams of flight. When his friend, Mr Chen, is murdered, Athan must rescue the flying machine they were building together and stop it falling into the wrong hands. But keeping the machine safe puts his family in terrible danger. What will Athan choose – flight or family? 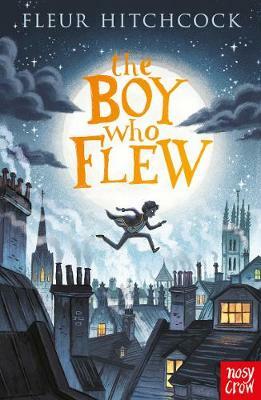 From the acclaimed author of Murder In Midwinter, Fleur Hitchcock’s The Boy Who Flew is a thrilling, murderous tale set among the steep rooftops and slippery characters of Athan’s intricately imagined world. Our Teen Book Club for those in school years 7 and 8 is led by Kay. It meets every 4 weeks on a Tuesday during term-time, 4.45pm to 5.30pm, at the Shop.